This edition of War Profiteers News covers a range of stories about the arms trade and war profiteering from around the world. The BDSA arms fair was held in Romania at the start of May, and a new report from the Transnational Institute explores how arms companies are profiting from EU border militarisation. In the UK, CAAT have been granted permission to appeal the High Court's decision regarding arms sales to Saudi, and ex-employees of arms manufacturer Heckler & Koch have appeared in court, accused of selling arms sales illegally to areas of Mexico. If you want to continue to receive War Profiteers News after this edition, we need to ensure we have your consent. 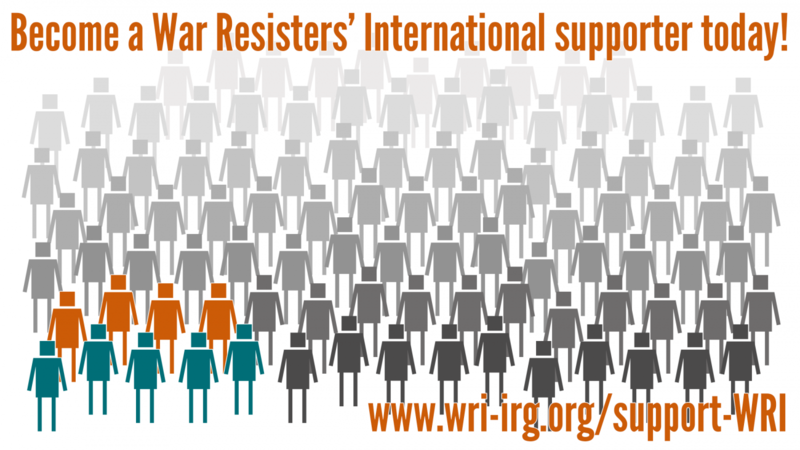 Use this link - https://www.wri-irg.org/en/data-protection - to let us know that you are happy for us to store your email address and keep sending you this newsletter. Campaign Against Arms Trade (CAAT) have been granted permission to continue to pursue it's legal case against the British government regarding arms sales to Saudi Arabia. On 4th May two Court of Appeal judges granted CAAT permission to appeal, and the case will be heard by the Court of Appeal in the months ahead. The trial of six ex-employees of German weapons manufacturer Heckler & Koch has begun in Germany. The six ex-employees are accused of illegally exporting 4,500 assault rifles and other guns to Mexico, where they ended up in states effected by violence subject to a ban by the German state. Stay in touch with WRI! WRI sends a range of publications, action alerts, and other news via a number of email lists. At the end of May 2018, new EU rules come into force that mean we have to make sure we have the consent of the people on our database. Elbit Systems, an “international defence electronics company” is Israel's largest weapons producer. Through it's subsidiaries around the world, the company produces a wide variety of high-tech products for the military and security industry.